I really enjoyed this show and often wonder why more 60’s music isn’t played on the theatre organ. Things like Build me Up Buttercup and Swinging Safari are catchy tunes that most theatre organ concert goers would know and I really don’t think the theatre organ concert repetoire has, in the main, done justice for a lot of 60’s music. I can’t recall hearing the above mentioned pieces ever in over 40 years of concerts here in Adelaide. Steve, this is a refreshing collection of tracks, bringing the listener to the modern era. 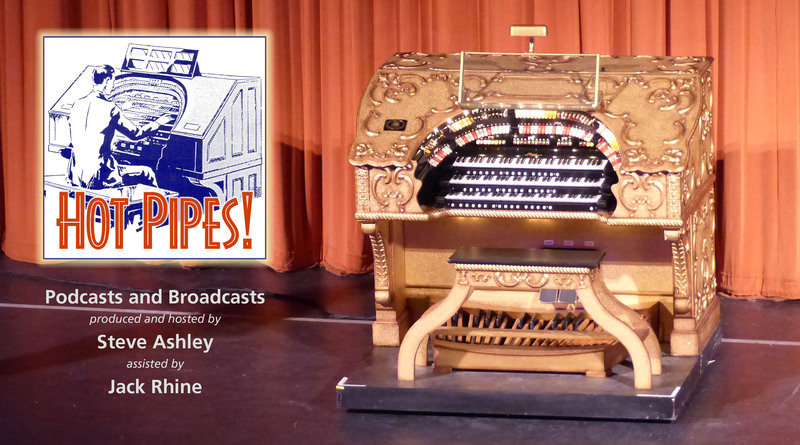 Organists at times seem stuck in the 1930s and 1940s, and one would hope for improvisations on more modern melodies. Stylistically, this group is a pleasure to hear, building upon the interpretations introduced by George Wright. It is unfortunate that those guiding the development of younger organists too often seem to represent the older approach. If theatre organs are to survive, it will be in no small thanks to the imagination and talent of a younger generation. Robert, I’m in two minds about ‘modern’ music – and let’s face it, the 1960s were 50 years ago. It gets increasingly difficult to programme music from subsequent decades as it becomes increasingly dependent on the vocal. But yes, there were some popular hits that were sufficiently melodic to transcribe to a keyboard instrument such as an organ. The rhythms also become increasingly complex, with multi-layering that would make any single instrument baulk at reproducing the music with any authenticity. There’s no doubt in my mind that jazz-era music is, in general, way more appropriate for theatre pipes, which are the product of that very era. But I do agree that artists could, and should, be more adventurous in their repertoire. I can’t help but feel, though, that audiences are equally to blame: they like what they know and are often reluctant to move forward.